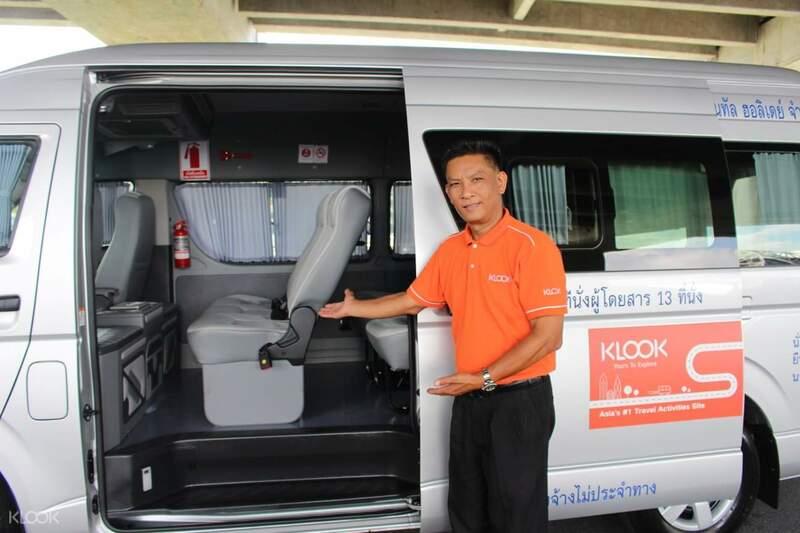 Make sure your visit to Thailand is hassle free by booking a DMK airport transfer in advance. 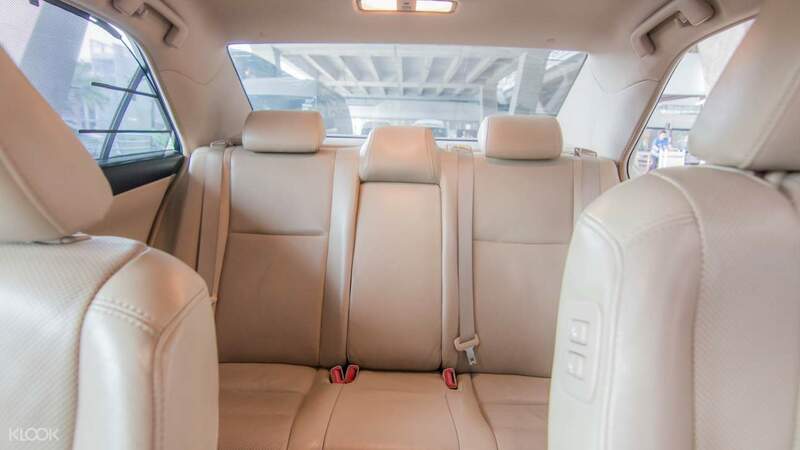 You'll enjoy the comfort of a private vehicle with your own professional driver who will pick you up from your hotel or Bangkok Don Muang Airport arrival hall, before whisking you off to your final destination. 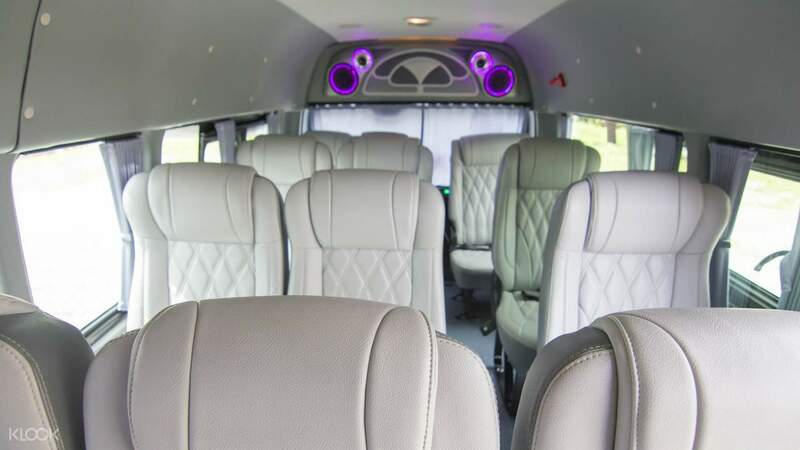 These private transfers offer a range of pick up and drop off loactions from Don Muang International Airport to downtown Bangkok, Pattaya, Jomtien, Hua Hin, Ayutthaya, Koh Samet and Koh Chang. 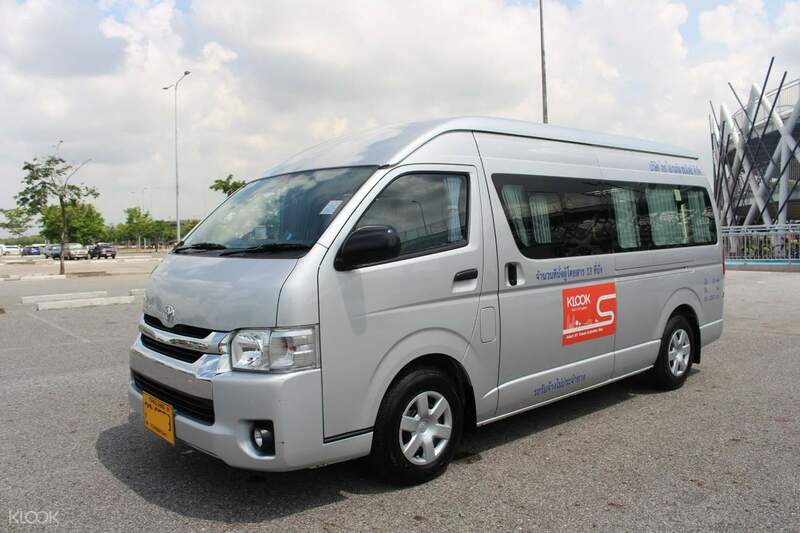 The choice of modern, air-conditioned Toyota models can accommodate between 1 and 10 people with plenty of luggage space, so sit back and relax as your driver transports you to your destination in the utmost safety and comfort. Easy to book. I even book it 5 hours from my arrival to Bangkok. Easy to locate and the klook personnel assisted us to our assigned private car. Hassle free booking no need to print it out. And the driver was polite and make our journey smooth from airport to hotel. I will definitely book here in klook again. Easy to book. I even book it 5 hours from my arrival to Bangkok. Easy to locate and the klook personnel assisted us to our assigned private car. Hassle free booking no need to print it out. And the driver was polite and make our journey smooth from airport to hotel. I will definitely book here in klook again. Everything went so smoothly. Once I am out the door, I can locate the Klook sign easily with my name on it. There is a Klook staff waiting and she lead us to the car. The car fit 3 of us very comfortably with lots of leg space. Driver drove safely. Will definitely use their service again because it is so hassle free as compared to the taxi queue. Everything went so smoothly. Once I am out the door, I can locate the Klook sign easily with my name on it. There is a Klook staff waiting and she lead us to the car. The car fit 3 of us very comfortably with lots of leg space. Driver drove safely. Will definitely use their service again because it is so hassle free as compared to the taxi queue. The service was good. Easy to find the meeting point as it was just in front of the international arrival gate. Staffs was helpful too. Never seen such a colorful van. Van was clean and in good condition. The service was good. Easy to find the meeting point as it was just in front of the international arrival gate. Staffs was helpful too. Never seen such a colorful van. Van was clean and in good condition. It was a breeze to locate the klook operator as my name was displayed at the designated area and we found it right after we exited the arrival gate. The car is spacious and comfortable and we arrived at our accommodation safely. It was a breeze to locate the klook operator as my name was displayed at the designated area and we found it right after we exited the arrival gate. The car is spacious and comfortable and we arrived at our accommodation safely. very convenience. 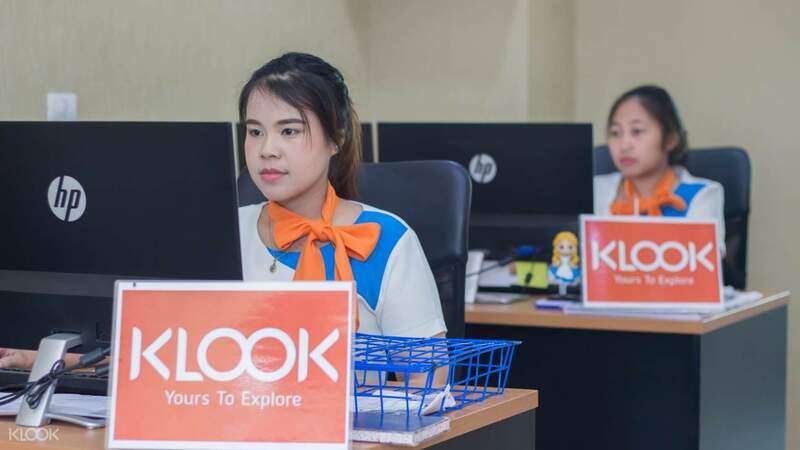 Once you purchased the package, Klook will email you the confirmation and provide you clear information where you shall meet them up. They will wait you about 2.5 hrs upon your flight landing time. When we walk out from terminal, just need to turn right, look for a staff holding a Klook sign when you exit from International Arrivals Gate. The staff will be waiting opposite TRUE shop (next to the information center). Show our mobile voucher to the staff for verification & pass us the sim card. The staff will bring us to Gate 2, ask us wait inside about 5 mins while the staff wait the driver outside. Once driver arrived within 5 mins, the staff walk inside inform us and help us carry our luggage as well. Driver is tidy up with blazer, clean & smell good camry car. Driver also speak well english. Would definitely purchase this package again for my next trip to BKK. very convenience. Once you purchased the package, Klook will email you the confirmation and provide you clear information where you shall meet them up. They will wait you about 2.5 hrs upon your flight landing time. When we walk out from terminal, just need to turn right, look for a staff holding a Klook sign when you exit from International Arrivals Gate. The staff will be waiting opposite TRUE shop (next to the information center). Show our mobile voucher to the staff for verification & pass us the sim card. The staff will bring us to Gate 2, ask us wait inside about 5 mins while the staff wait the driver outside. Once driver arrived within 5 mins, the staff walk inside inform us and help us carry our luggage as well. 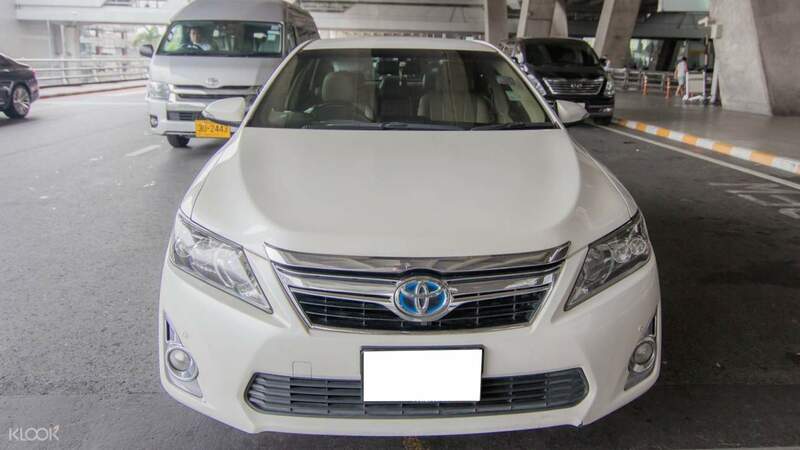 Driver is tidy up with blazer, clean & smell good camry car. Driver also speak well english. Would definitely purchase this package again for my next trip to BKK. Q: Can we make stops (e.g. for food) along the way? A: Short stops (not more than 30 minutes) at restaurants, 7/11 shops, or toilets will incur no surcharge. However, if you request to stop at an attraction stop or stay longer than 30 minutes, a surcharge of 300thb/hour will be charged.